Francesco Fonassi (Brescia, 1986) is an Italian artist, sonic researcher and musician operating in the field of contemporary art, live media and experimental music. His work, developed through actions, recordings, environmental configurations, radio transmissions, listening sessions, live performances and the creation of audiovisuals and sensory spaces, has been featured in solo and group exhibitions at Italian and international institutions such as Palais de Tokyo, Paris; MAXXI, MACRO, Auditorium Parco della Musica, Rome; Viafarini DOCVA e CareOf, Milan; Mambo, Bologna; The Emily Harvey Foundation, New York; Färgfabriken, Stockholm; CSMVS Museum, Mumbai. He has been finalist at Furla Prize (2015), LUM Prize (2011) and winner of Moroso Concept Award (2017) and 6Artista Prize (2012). Among the interventions in festivals, and indipendent spaces: Clark House Initiative, Mumbai; BB15, Linz; Blockhaus DY10, Nantes; DKSG Galerija e Remont Gallery, Belgrade; A Certain Lack Of Coherence, Porto; Glassbox, Paris; Spazio O', Milan; Sarajevo Winter Festival, Sarajevo; Bjcem, Skopje; Q16_Rome Quadriennale, Rome. Forming a primarily ethical relationship with knowledge and with others, the work of Francesco Fonassi acts on the dynamics of perception, forcing reality to clash with the devices of separation and interaction that are implied by and express a general feeling. He does this by focusing on the human tendency to submit or react to forms of aggression and isolation, interruption and duration, through the experience of listening, which he takes as a threshold on which to explore relationships of activity and passivity, and beyond which to trace out realms of co-belonging. 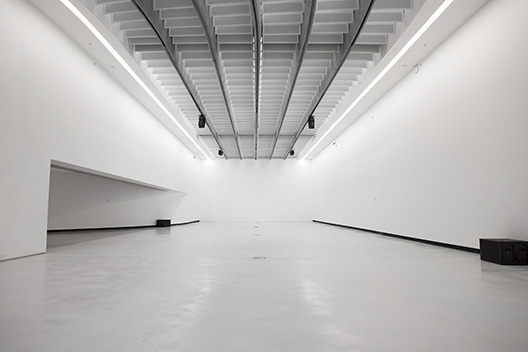 Through actions, recordings, environmental configurations, radio transmissions, listening sessions, and the creation of audiovisual and sensory spaces, Fonassi gives tangible form to the place where knowledge and imagination flow into each other, and the image – whether mathematical, visual or auditory – takes on a function of actualization. Linking together different forms of knowledge, Fonassi designs the space for a multitude of subjects that are no longer passive, both perceiving and perceived, susceptible to developing ways of holding together and resisting inclusion in a self-sufficient whole, be it acoustic or social. Three channel sound configuration for a free-form field survey, Old Pereira House, Corjuem, India. 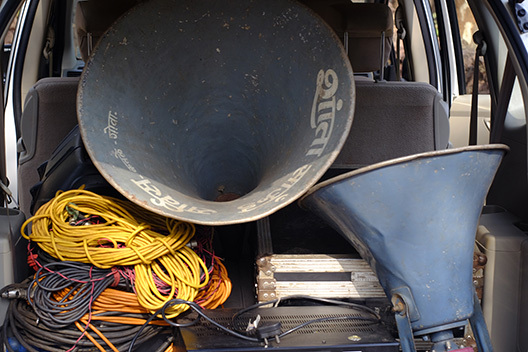 Sound performance for solo speaker horn at Clark House Initiative, Mumbai, India. I have applied my life philosophy to the Dena Foundation: to pass onto others what I myself have received, to constantly bein touch with the art scene, to maintain an insatiable curiosity for art and the ineluctable desire tobe part of a world that, even asit faces changes that are breath taking and hard, remains the place where one can find beauty and knowledge united. The foundation is turning 18. In 18 years at the core of the range of uninterrupted activities there has been our residency program for artists and curators. Almost 50 individuals were awarded our grants. Our activities have also included the organizationof meetings and round table discussions, the presentation of the Dena Art Award and the participation in a wide scope of important projects with other institutions, including the organisation of exhibitions. The foundation does not feel its age. Looking back, it has had a positive impact. It has been a working catalyst that is subtle but solid and has anchored its position within the contemporary art world by giving its support to young and emerging artists as well asto already affirmed ones. The Dena Foundation has operated as a medium, bringing mediation within the contemporary art world to the next stage. Its mission has been to step in when and where something is missing toachieve the success of a great artistic enterprise. The Dena Foundation has not operated as a traditional art foundation by focusing just on making and supporting exhibitions or by only organizing artist and curatorial residency programs. The foundation’s primary focus has been promoting contemporary Italian art in France and the US, but from that focus it also grew to bring young contemporary artists and curators from Singapore to Europe. After almost 20 years of existence its mission is naturally evolving to put more emphasis on the importance of artistic research as opposed to production. This is the aspiration of the foundation, which, throughout the years, has welcomed partnerships with others who share the same aspirations and to whom I send my infinite gratitude. I have a confident view of the future that is ahead of us.